Many job seekers dress up their online profiles and CVs with buzzwords in order to sound cool and hire-worthy. A quick browse through social networking sites would reveal just how much oft-repeated terms are out there. In a study conducted by LinkedIn, it was found that UAE professionals love to use the words “experienced,” “skilled,” and “specialize” in their profiles. People in this market also have the propensity to describe themselves as an “expert,” “motivated,” “excellent,” “responsible” or “passionate.” The words “leadership” and “successful” are also a clear favourite. Some hiring experts have cautioned against the use of so much verbiage, as padded CVs don’t get them in the door – they simply bore employers and recruiters down. According to Nada Enan, senior manager for marketing and public relations at LinkedIn Middle East and North Africa, it is important for job seekers to carefully choose the words they put in their profiles, to increase their chances of getting hired. “We want to encourage them to think about the words they are using on their profiles and consider which are the right ones that can connect them to the next opportunity in their career,” Enan told. LinkedIn has also noted a new trend based on the commonly used buzzwords in user profiles in the UAE. While in the past the word “successful” dominated people’s bios, it is now at the bottom of the list. In contrast, “skilled” has entered the top ten for the first time. What this means is that UAE jobseekers now want to highlight specific skills and abilities. “The words from 2017 are an equal mix of performance related ‘hard skills’, as well as mindset related ‘soft skills,’” noted Dr Saliha Afridi from The LightHouse Center for Wellbeing. 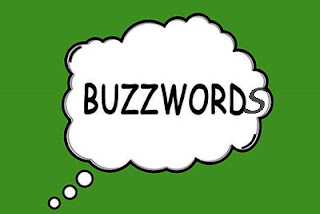 Summary: Don’t just replace one buzzword with another buzzword. Instead, be specific. Cite some examples to illustrate how motivated you are. A good practice is uploading samples of your work in your summary. Profile photo: Don’t leave this part empty. You have more chances of getting your profile viewed if it has a photo, but make sure what you upload reflects the image you want to portray or show your best professional self. Headline: To get yourself noticed, it is necessary to write a strong headline. Remember that the first thing that attracts a reader when browsing a news website is the headline itself. So make sure you don’t skip this part. 1.Limit job descriptions for up to the last three positions held. Don’t overdo it by writing down every single position you’ve held since you started your career. 2, Attach a formal photo. 3. Keep it simple and concise. Avoid using coloured paper or fonts, or graphics. 4. Keep it professional. Avoid using sympathy to get an employer to pick you. Lines like “I lost my job,” or “I’m the only provider in the family,” won’t increase your chances of getting hired. 5. Ensure that texts are aligned or properly formatted. 6. Be honest. Don’t mention foreign languages if you only know a few words, or claim certain skills that you don’t have.